Perfume Oil Display with Testers and 32 pcs to sell. 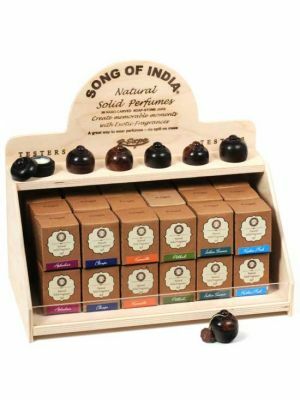 A beautiful and compact way to display Song of India perfume oils. 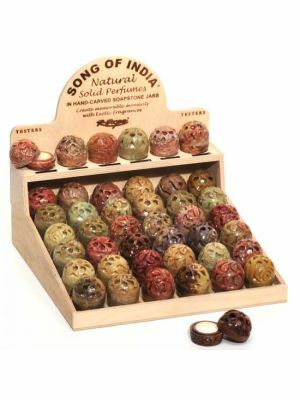 Let your customers smell the exotic fragrances of the perfume oils before they pick out their beautiful bottle. Hand blown glass bottles. This display is customizable. Select your 8 scents.